There are a number of options available for relaxation, stress relief, healing and overall wellness. Reiki is one of the methods to familiarize yourself with as it can offer numerous benefits. It provides a gentle approach with a great amount of power. So, what is Reiki exactly? This healing practice is based on an unseen energy that can be felt by the receiver. It is believed by some people that a low level of life force energy can bring about illness on a mental or physical level, and when our life force energy is high, we are more capable of being happy and healthy. Several ancient cultures believed that energy flows through our bodies, affecting our well-being on many levels. Scientific research has shown that imbalances, disruptions or blockages of these energy flows may lead to physical, emotional or mental illness. This healing modality, Reiki, attempts to balance and heal the energy-flow deficiencies, leading to improved health and well-being. Reiki is a system of subtle energy healing that is either performed by laying hands on the body or through distance-healing techniques. Unlike massage therapy, the individual remains completely clothed during the session and the Reiki practitioner can either place their hands directly on the body or hold them a few inches above the body. Reiki can never cause harm to the recipient, but only bring in feelings of peace and overall wellness. This healing practice is not a religion, however it is thought of as spiritual in nature. It is a simple and safe technique for self-improvement. Reiki is a healing modality that balances the recipient’s bio field and strengthens the body’s ability to heal itself. 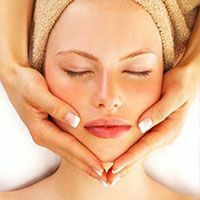 The treatment itself has been described as feeling like a wonderful, glowing radiance flowing through and around you. Reiki can be used to support and complement conventional medical interventions. It should not be looked at as a replacement for any prescribed medical interventions or medications. With that being said, it is a great complement to any medical treatment you may be going through. There are a number of personal Reiki success stories on http://reiki.org. Visit the site and read the shared stories about cancer diminishing, infection recovery, burn healing and many other transformations of low-level life force energies being reversed. Reiki can be used to treat aliments big and small and help us live a life of feeling balanced and well. Anyone who is open to this healing practice can take the proper training and begin practicing on others and themselves. Reiki practitioners receive a series of “attunements” (by one or more Reiki masters) which enable them to pass subtle energies through the hands. The practitioner also receives benefits by being the channel to transfer the healing energy. Many people attuned to Reiki will tell you they feel just as rejuvenated after transferring the healing energy as the person receiving it. Reiki I: First-degree Reiki training teaches the Usui Reiki system of energy therapy, the history of the Reiki healing process and the procedure for giving a complete Reiki treatment to others and oneself. Each participant receives Reiki attunement, which connects you to the unlimited source of Reiki energy. The attunement should also include a combination of lecture, meditation and experience. Supervised practice time includes giving and receiving a complete table Reiki treatment using all the hand positions. Reiki II: Expanding your healing powers with the second-degree Reiki attunement builds on the energy healing process learned in the first-degree attunement. During the second-degree training, the practitioner will be attuned to Reiki power symbols and learn their use in treatments, learn advanced procedures in sending absentee Reiki treatments to someone at a distance, experience ways to balance one’s own energies, and receive guidelines for establishing one’s own Reiki practice. The third level of training is the Reiki master level, where the ability to attune others is taught and practiced. Attunements for all levels are available with Reiki master Gina Armstrong, LMT. For more info, visit http://balanceonbuffalo.com. Open your mind and body to the healing properties of Reiki: You are sure to find peace and wellness.